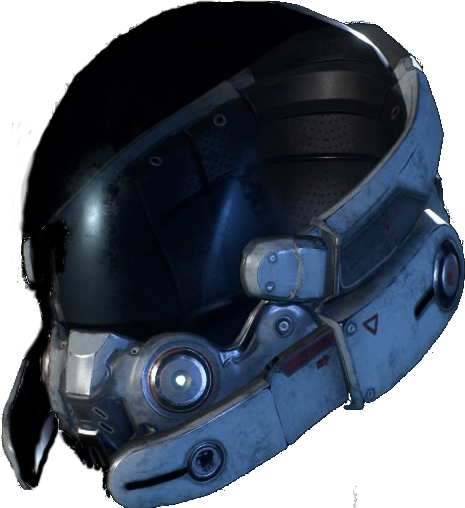 Hyperguardian Helmet is an Helmet in Mass Effect Andromeda. It can be purchased from Merchants or developed from Blueprints via Crafting. This page will be updated with the relevant data and requirements when more is known. "HyperGuardian hardsuits were built by Kassa Fabrication as a civilian-friendly alternative to the Colossus line intended for private security in heavy-fire situations or extreme environmental conditions. The Initiative considered the bulky and unbreakable HyperGuardian a perfect choice for protecting vulnerable new colonies."